The Obesity Health Alliance has recently published a report ‘Tipping the Scales, Why Preventing Obesity makes Economic Sense’ which is supported by a number of health and well-being organisations and which was discussed on BBC Breakfast this morning, with Dr Chatterjee as guest speaker. The report highlighted that almost three in four (72%) of the UK adult population would be predicted to be overweight or obese by 2035 and that over the next 20 years rising levels of obesity could lead to around an additional 4.62 million cases of type 2 diabetes, 1.63 million cases of coronary heart disease and 670,000 new cases of cancer. The report publishes a number of policy recommendations including a ban of food TV advertising between the hours of 6am to 9pm; restricting marketing of unhealthy food and drink products; introducing a further duty on sugar-sweetened beverages; examining the case for further fiscal measures on foods high in sugar, salt and fat; increasing the affordability of healthy alternatives to make healthier food choices the norm; strengthening and implementing standards for procurement of food provided in all publically funded institutions; improving food labelling; increasing access to recreational facilities and open space to encourage physical activity; increasing funding to promote active travel and working with food businesses within a new accountability framework. BANT fully supports this report and echoes the comments made by Dr Chatterjee this morning on BBC Breakfast that obesity and diabetes are complex issues which require interventions at multiple levels to achieve both effective prevention and successful treatment. The causes of obesity are multifactorial and can include increased stress levels, systemic low-grade inflammation, lack of exercise and choice of foods and their preparation/cooking methods, amongst others. There is growing evidence that minimally processed foods like non-starchy vegetables and fruit are more satiating and elicit less of a glycaemic response than ultra-processed foods, so prevalent in typical British diets. Additionally, minimally processed foods are associated with a decreased risk of cardio-metabolic disease. 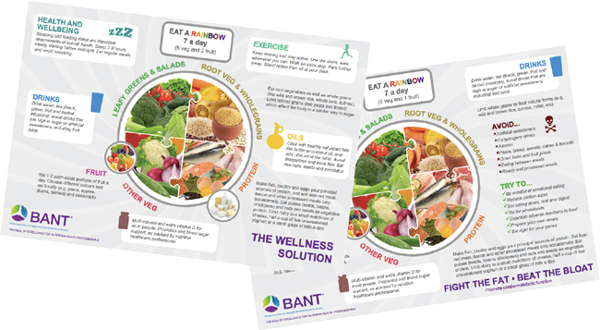 BANT Registered Nutritional Therapists take into account individuality that enables personalisation of dietary advice based on the most up-to-date research available. Recent research has found, for example, that eating potatoes may raise the blood sugar of one person, but have no effect at all on another, highlighting the importance of taking a person not a food centred approach. This week’s research is one that you might not be expecting; plant-based diets reduce the risk of diabetes. Also, one that’ll be relevant to those of us studying for exams; sleep plays a key role in memory consolidation. And finally, exam tips! 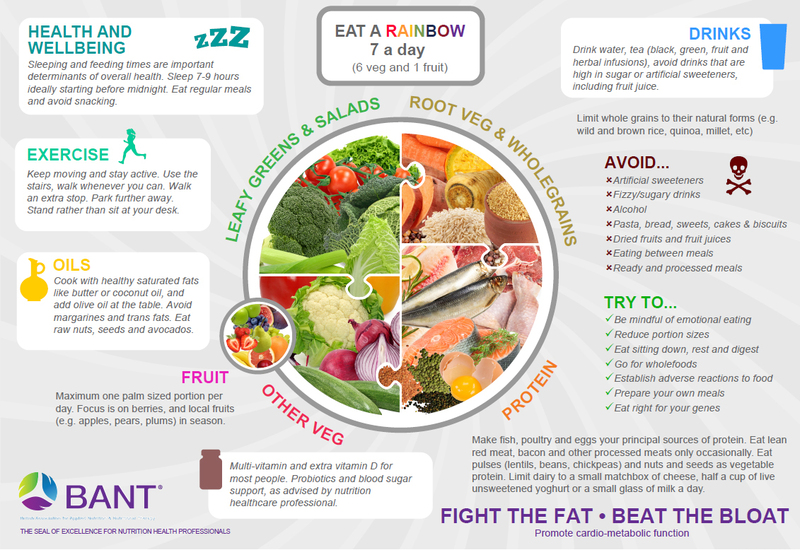 Whilst there has been accumulating evidence for the disease risk reducing effect of a plant-based diet in the areas of cancer risk, diabetes risk and blood pressure reducing. This study published in PLOS Medicine looked at the quality of the vegetarian diet, whether the diet was high in nutritious plant-based foods. Hu, a senior author said, “A shift to a dietary pattern higher in healthful plant-based foods, such as vegetables, fruits, whole grains, legumes, nuts, and seeds, and lower in animal-based foods, especially red and processed meats, can confer substantial health benefits in reducing risk of type 2 diabetes.” Read more. A study from the University of California-Riverside published in the Proceedings of the National Academy of Sciences showed that increase autonomic nervous system (ANS) activity during sleep was linked to memory improvement. In particular, ANS activity during rapid eye movement (REM) sleep. Prof. Mednick explained, “The findings suggest that ANS activity during REM sleep may be an unexplored contributor to sleep-related improvements in memory performance.” Read more. Welcome to the June 2016 edition of the BANT ENews, this month we have a bit of a communications flavour with our very own communications director, Daniel O’Shaughnessy, giving an overview of the BANT communication strategy in his Director’s Corner. Later in the issue you will find a Communications Spotlight Page which gives an overview of what our members and the BANT communications team have achieved since the last issue. We thank the Soil Association who has contributed the Featured Article on how the way we produce our food impacts on its nutritional profile. We hope you enjoy reading this issue as much as we have enjoyed pulling it together! Welcome to the June 2016 edition of the BANT ENews, this month we have a bit of a communications flavour with our very own communications director, Daniel O’Shaughnessy, giving an overview of the BANT communication strategy in his Director’s Corner. Later in the issue you will find a Communications Spotlight Page which gives an overview of what our members and the BANT communications team have achieved since the last issue. We thank the Soil Association who has contributed the Featured Article on how the way we produce our food impacts on its nutritional profile. We hope you enjoy reading this issue as much as we have enjoyed pulling it together! Access the BANT news here. We know exams are looming for a lot of you so this week we don’t want to provide too more information. So, a piece o for research on healthy ageing we couldn’t resist. 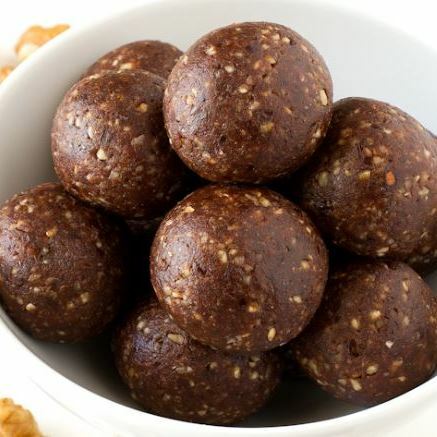 Then some revision tips to help towards the approaching exams and a simple energy ball recipe to keep you going! followed older adults for 10 years to look at the link between carbohydrate intake and healthy aging. The Prof. Gopinath author noted, “Out of all the variables that we looked at, fiber intake – which is a type of carbohydrate that the body can’t digest – had the strongest influence”. This study found that participants in the upper quartile of dietary fibre intake were almost 80% more likely to remain healthy. Read more. Just 3 ingre dients, although you can try adding in some brain boosting flax seeds or chia seeds too. Place the walnuts in a food processor or a powerful blender (food processors work better) and blend until they have a crumbly texture. Add the dates and the cacao and blend again. Make balls with your hands and they’re ready to serve. You can store the bites in a sealed container at room temperature, although I prefer to keep them in the fridge, especially in summer. The British Association for Applied Nutrition and Nutritional Therapy welcomes the BBC Breakfast piece, featuring Dr Chatterjee, regarding a new blood test targeting depression. The study in question, published in the International Journal of Neuropsycopharmacology1, showed that patients with high levels of chronic inflammatory markers (macrophage migration inhibitory factor (MIF) and Interleukin-1beta (IL6 beta) specifically) were less likely to respond to antidepressant treatment. As Dr Chatterjee mentioned, acute inflammation is an essential part of the body’s immune system in dealing with infections and injury, however, chronic long-term inflammation can result in a number of health conditions including obesity, Type 2 Diabetes and heart disease. Chronic inflammation can be the result of a number of factors including: long term stress; auto-immune conditions; allergies or the inability of the inflammatory process to switch itself off. External factors can include, as mentioned by Dr Chatterjee, nutrition and lifestyle. The study lead researcher Professor Carmine Pariante is looking to test whether giving anti-inflammatory drugs alongside antidepressants might help. 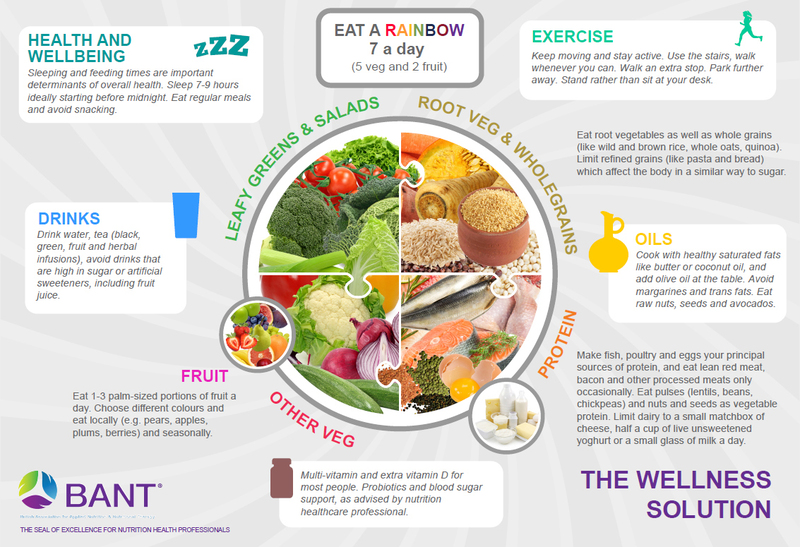 BANT, however, applauds Dr Chatterjee’s comments that lifestyle and nutrition management, including the move from a Western diet “high in sugars and low in helpful fats”, should be the first port of call for these patients. BANT advises that individuality is key and any advice provided should be tailored to each person. Miguel Toribio-Mateas, BANT Chairman commented: I’m excited to see the principles that are behind the BANT Wellbeing Guidelines being discussed by Dr Chatterjee on BBC Breakfast this morning. Pariante M. et al (2016) Absolute Measurements of Macrophage Migration Inhibitory Factor and Interleukin-1-β mRNA Levels Accurately Predict Treatment Response in Depressed Patients, International Journal of Neuropsychopharmacology, Published ahead of print May 2016. DOI: http://dx.doi.org/10.1093/ijnp/pyw045. Ingeneius’ 1-day Nutrigenomics in Practice: Methylation seminars are designed to equip practitioners to use nutrigenomics safely and effectively in practice. Each seminar has 5.5 hours CPD (BANT) approved. Ingeneius reports provide personalised genotype analyses to help you to understand your clients’ health at the most fundamental level. This week I came across some exciting research on matters that are close to my heart, on Multiple Sclerosis (MS) and diet. I was sent details on special BANT Student Network only offers from our friends at Ingeneius. And I share a healthy barbeque recipe, no charred meat here! Could Multiple Sclerosis be Reversed with a Fasting Mimicking Diet? Research published in the journal Cell by researcher from the University of Southern California showed that a fasting-micking diet (FMD) had positive effects on the mouse MS model, experimental autoimmune encephalomyelitis (EAE). The FMD involved cycles of a low calorie and low protein diet for 3 days out of 7. After multiple FMD cycles improvement were seen in the EAE affected mice and authors noted FMD, “caused complete recovery for 20 percent of the animals.” Read more here. Ingeneius got in touch to share the video of a webinar they did for us, part 1. Plus, part 2 which is a case study on histamine. Both can be found here. Methylation Report: £99 (30% off rrp of £149). Use code KDC9HBB7 when ordreing – order here. Histamine Intolerance Report: £26 (30% off rrp of £39). Use code 5HWXW57S when ordering – order here. Nutrigenomics in Practice: Methylation seminars on 25th June in Dublin, 26th June in London – £20 discount (discounted price will be £99) and seminar attendees can buy the Methylation report for just £79. Use code INGBANT when booking – more details here. Mix all liquid ingredients together in a bowl. 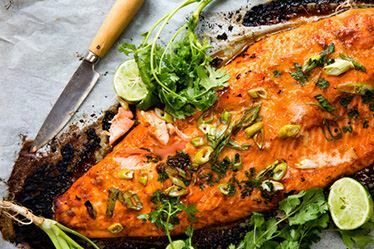 Lay salmon skin side down on a large sheet of foil. Score the fish flesh diagonally 4 or 5 times. Spread the sauce over the fish. Sprinkle over chopped fresh coriander if you want. Bring the edges of the foil together so the fish is enclosed and lying flat. Place on the BBQ for 20 – 25 minutes until cooked all the way through. Enjoy!